Paul E. Thune died of natural causes at age 92 on November 27, 2018 in Indianapolis, Indiana. He believed in Jesus Christ as his Lord and Savior, and his family now rejoices that he is in Heaven. Paul was born on December 20, 1925 in Valparaiso and graduated from VHS in 1944. He played on the VHS basketball team from 1942-44 and also excelled in track and field. 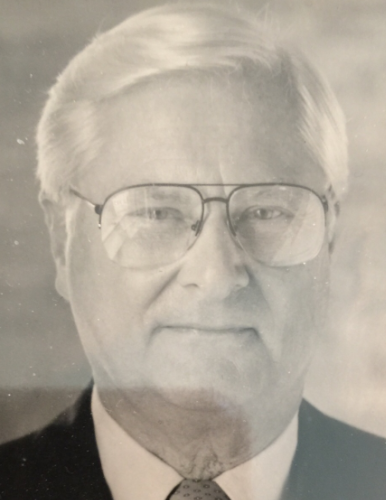 He served with the Merchant Marines during WWII, graduated from Valparaiso University in 1950 and worked for Valparaiso University as the Registrar and Director of Purchasing from 1953 until his retirement in 1988. He enjoyed attending VU basketball games with his boys and following Indiana Hoosiers basketball, Notre Dame Football, and the Chicago Cubs. He was a kind, gentle, patient man, a longtime member of Immanuel Lutheran Church in Valparaiso, a devoted husband to Lorene, his wife of 66 years, and a great dad to their sons. He left a wonderful legacy of kindness to his grandchildren and to all he met. He was preceded in death by his parents Charles and Velma Thune, his sister Maxine (Mounce), and his wife Lorene. He is survived by his sons Paul (Cathie), Mark (Julie), and grandchildren Rachel, Sarah, Matthew, Morgan, and Madeline. A service will be held Monday, December 3, 2018 at 10:00 AM in the Chapel at Graceland Cemetery followed by interment.